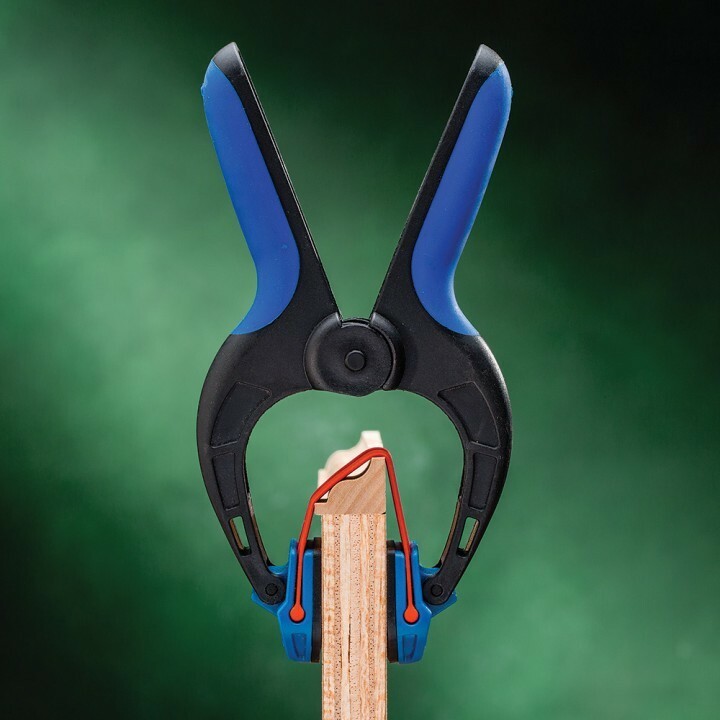 Featuring a proprietary 1” wide rubber band between the pivoting jaws of the clamp, the Bendy provides non-marring clamping pressure as the band is stretched over the edge of the surface. 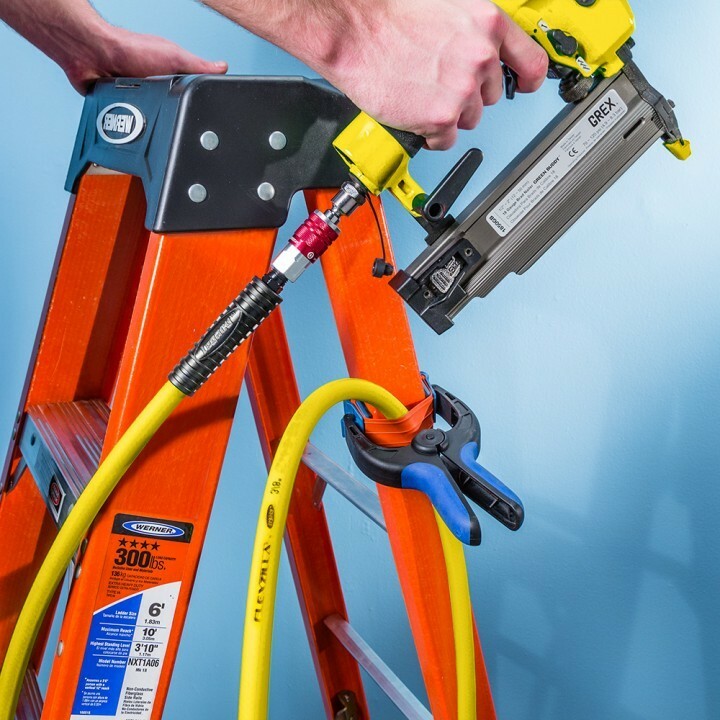 Changing the depth of the clamp also changes the clapping pressure over the edge of the surface, and the non-slip jaws ensure that the clamping pressure holds. The clamps are made of high-strength nylon with fiberglass, and the band is made of a tear-resistant material with three strength-adding splines molded into it. 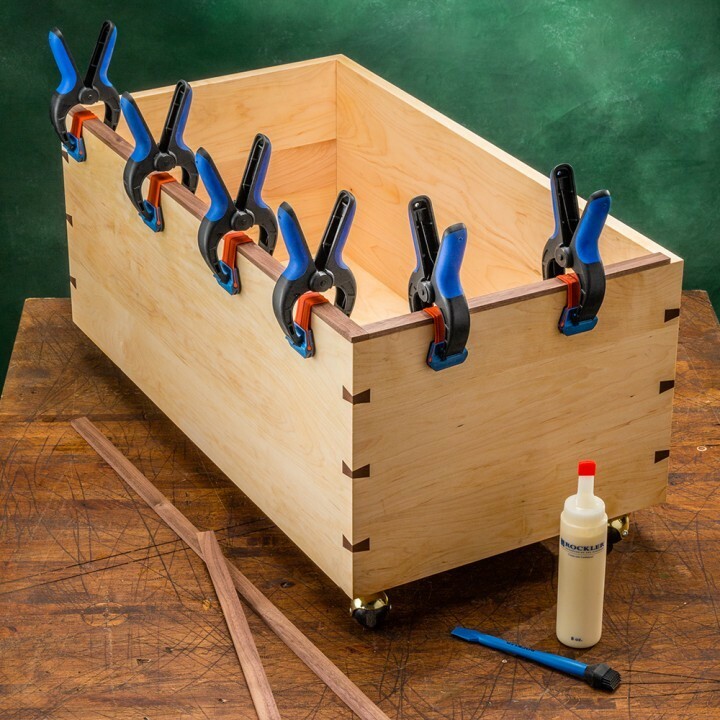 Rockler says you don’t even have to worry about glue—it just flakes right off the rubber band material.